Professionals from the creative industry have been gathering in Bucharest to discuss their fast-changing sector. 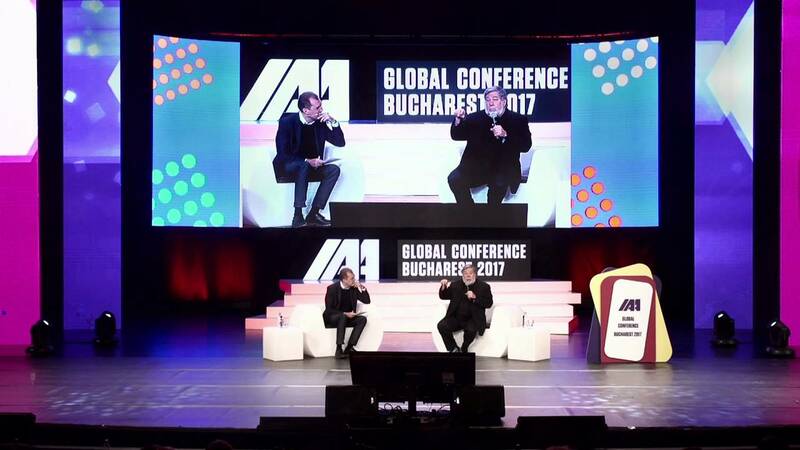 At the IAA (International Advertising Association)‘s Global Conference, there was not doubt that the digital trend is here to stay, as are smartphones according to Apple co-founder Steve Wozniak. “We always pursue the future of devices, where can they go, and if we change things we’ll make them better. I do not think that personal smartphones are gonna go away. And the size is right for a little smartphone, there’s small screen. You can get it smaller, but you can’t do everything with the watch screen, it’s too small. You can do a lot of things easier. But I think we gonna stick with that smartphone paradigm for as long as I can see, I don’t see it going away,” he told Euronews’ Sasha Vakulina. While the challenge is to cater to consumers with a lower attention span, it is also linked to their mode of consumption. And no matter what screen we’re on – advertisers know we don’t like to be interrupted. “The proliferation of these ad-blocking apps and plug-ins is there to witness the fact that people are tired with advertising in general. So it’s important to give them something that they enjoy rather than something that annoys them, because it could be counter-productive,” says Google’s Marco Cremona.